2Professor &amp; Principal, Narasaraopeta Institute of Pharmaceutical Sciences, Narasaraopet, Guntur(D.t), A.P. India-522601. 3Assistant Professor, Department of Pharmacy Practice, Narasaraopeta Institute of Pharmaceutical Sciences, Narasaraopet, Guntur(D.t), A.P. India-522601. 4Assistant Professor, Department of Pharmacology, Narasaraopeta Institute of Pharmaceutical Sciences, Narasaraopet, Guntur(D.t), A.P. India-522601. 5Assistant Professor, Department of Pharmaceutical Analysis, Narasaraopeta Institute of Pharmaceutical Sciences, Narasaraopet, Guntur(D.t), A.P. India-522601. The main objective of present research work is to formulate the Clopidogrel Fast Dissolving tablets. Clopidogrel, an antiplatelet drug, belongs to BCS Class-II and used to control Heart attack, Hypertension by inhibiting Platelet activation and aggregation .The Fast Dissolving tablets of Clopidogrel were prepared employing different concentrations of Crospovidone and Croscarmellose sodium in different combinations as a Superdisintegrants by Direct Compression technique using 32 factorial design. 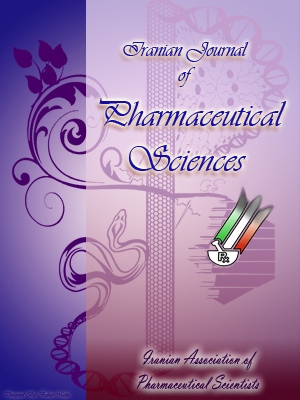 The concentration of Crospovidone and Croscarmellose sodium was selected as independent variables, X1 and X2 respectively whereas, wetting time, Disintegration time, t50% ,t90%were selected as dependent variables. Totally nine formulations were designed and are evaluated for hardness, friability, thickness, Assay, Wetting time, Disintegration time, In-vitro drug release. From the Results concluded that all the formulation were found to be with in the Pharmacopoeial limits and the In-vitro dissolution profiles of all formulations were fitted in to different Kinetic models, the statistical parameters like intercept (a), slope (b) & regression coefficient (r) were calculated. Polynomial equations were developed for Wetting time, Disintegration time, t50%, t90%. Validity of developed polynomial equations were verified by designing 2 check point formulations (C1, C2). According to SUPAC guidelines the formulation (F5) containing combination of 15% Crospovidone and 15% Croscarmellose, is the most similar formulation (similarity factor f2=91.3936, dissimilarity factor f1= 1.203& No significant difference, t= -0.00062) to marketed product (PLAVIX-75). The selected formulation (F1) follows First order, Higuchi’s kinetics, mechanism of drug release was found to be Fickian Diffusion (n= 0.226).